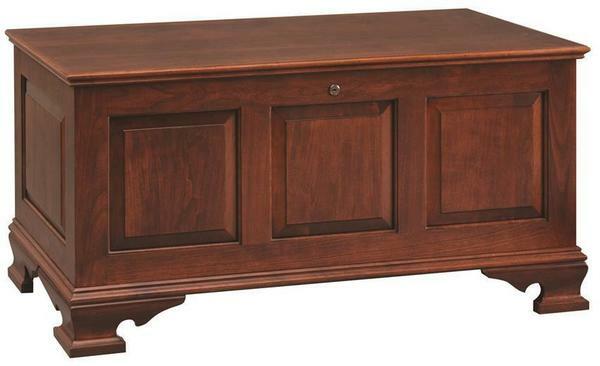 This beautiful Hope Chest with Cedar Bottom is handcrafted of solid cherry wood. It is pictured in OCS 106 Acres Cherry stain. The front and sides of the Amish chest have solid raised panels. Item received - Delivery was great. Item was packaged very securely. Item was as promised - Custom Made and looks Great. An amazing addition to our Home.